Dr. Day Care Learning Center, a provider of child care across Rhode Island, has recently acquired the Alphabet Soup child care center. The new Dr. Day Care, located at 2 Volturno St, is enrolling students six weeks through PreK. Dr. Day Care North Providence is now the company’s ninth early learning center. The management staff at Dr. Day Care have been working closely with the Alphabet Soup teachers and administration to ensure a smooth transition. Teacher training on best practices, policies, and procedures provides families with peace of mind that their children will continue to receive exceptional care and education. Tuition rates will now include a healthy breakfast, lunch, and afternoon snack that follows Federal Food Program guidelines to provide nutritious meals. Now open from 6:30am to 6:00 pm, Dr. Day Care North Providence offers hours that fit into a working parent’s schedule. As an early childhood expert, Dr. Mary Ann Shallcross Smith is excited to expand the Dr. Day Care family. She has been in the profession for over 40 years and has received her doctorate in Education and Leadership. Recently, Dr. Shallcross Smith was named an “Exceptional Emerging Leader” by Exchange Press, Inc., the only recipient in Rhode Island to receive this prestigious international award. This combination of experience and education has allowed Dr. Day Care to provide the best quality care and education for the children and families that they serve. 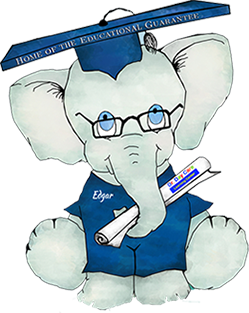 At Dr. Day Care, students will benefit from a unique curriculum that is based on the latest research on how children learn and develop early literacy, math, comprehension, physical, and social skills. Their administrators and educators create nurturing and secure environments where children are eager to learn in a way that’s natural and fun for them. Specialized enrichment programs (Cooking, Gardening, Art, Foreign Language, Science, Sport / Physical Activity) are also offered to children enrolled at Dr. Day Care Learning Center. Parents are encouraged to schedule a tour or stop by any time to view the North Providence early learning center. Call the center directly at 401-723-7784 or email info@drdaycare.com with any questions or to schedule a visit. Visit www.drdaycare.com for more information or to request a tour.